Newcomer Family Obituaries - William E Turner 1976 - 2019 - Newcomer Cremations, Funerals & Receptions. 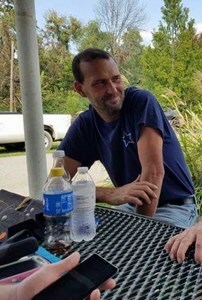 William E. Turner, 42 of Union Kentucky passed away January 21, 2019. Funeral services will be held at 1:00 PM, Saturday, January 26, 2019 at Newcomer Cremation, Funerals, and Receptions in Erlanger, KY. Visitation for William will be from the hours of 11:00 AM until 1:00 PM on Saturday. There are not enough words to describe the life of William Turner he was a strange bird but that is what made him the person he was. He was a man that would do anything for anyone even if he knew it would leave him with nothing. There was nothing more that he loved the most then his family, friends and racing with his racing buddies. Every weekend he would be at the race track and if they were not racing, he would be at the garage or helping his friends. He is preceded in death by his parents Rita and Bud Turner and Toby (his dog). He is survived by his two daughters Paige Turner and Lizzie Turner and step son Josh Taylor (Amie); his four siblings, Shana Turner, Michael Turner, Linda Turner, and Patty Turner; and Six grandchildren, Lela, Memphis, Chasedy, Krystian, Annie and Remi. Add your memories to the guest book of William Turner. So sorry to hear of your loss. We had recently seen Bill at breakfast one Sunday morning. He and Fred were rivals and then buddies during the derby's in the 90's. I have nothing but fond memories of him. Rest In Peace Bill.